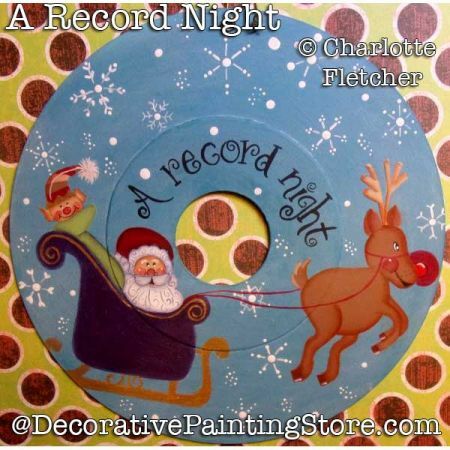 Santa riding in sleigh pulled by Rudolph the Red-Nosed Reindeer painted on a vinyl record. You will get good line drawings, pictures and complete instructions. Surface is a recycled vintage 45 rpm record.